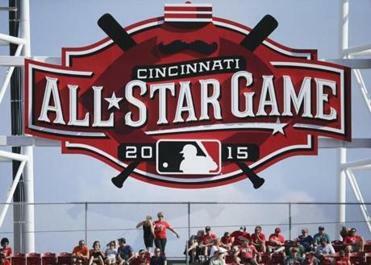 Great American Ballpark in Cincinnati will host the All-Star Game next month. It was Winston Churchill who said, “The best argument against democracy is a five-minute conversation with the average voter.” Sir Winston knew choosing without bias or choosing on the basis of merit is not always the metier of the electorate. Major League Baseball should come to the same conclusion. You don’t need five minutes to figure out the voting for the MLB All-Star Game is an argument against giving fans the vote. The reborn baseball town of Kansas City is baseball’s answer to Cook County, Ill., in the 1960 presidential election. Kansas City Royals fans have flooded MLB’s online-only ballot box, skewing the All-Star voting results. The most recent American League update on June 15 had Royals leading the voting at eight of the nine position player spots, and outfielder Alex Rios, who missed 40 games with a hand injury and has fewer than 100 plate appearances, ranked fourth for one of the three outfield spots. Only reigning AL MVP Mike Trout has been able to break the Kansas City voting bloc. Defending AL champions and the feel-good story of the 2014 season, the Royals are an excellent team with several deserving All-Star candidates. They have one of the best records in the American League. They’re not the 1927 Yankees, however. They’re more like the 1957 Cincinnati Reds, whose fans perverted the All-Star voting process so thoroughly with seven Reds elected as starters and Willie Mays and Hank Aaron excluded that commissioner Ford Frick stripped fans of the vote for the next 12 years. The real fraud here isn’t being committed by Royals fans — MLB has found no voting irregularities. It’s coming from MLB. It can’t incessantly sell us on the idea that the All-Star Game is more than a meaningless midsummer exhibition, trumpeting its status as the sacred determinant of home-field advantage in the World Series, and allow the starting lineup selection process to resemble a high school prom queen popularity contest. A league official said more than 60 million votes were disallowed, although the rate of cancellation is consistent with previous years. If the game matters, then MLB has a responsibility to make sure the best and most deserving players are in the starting lineup on July 14 in Cincinnati. (It’s bad enough every team gets to have an All-Star representative.) Otherwise, let Royals fans have their day and their team and concede the game is an exhibition. Fan voting should not be the sole criterion of All-Star starters in any sport. It’s too unreliable. It doesn’t showcase the true will of the people. It showcases the willingness of some fervent fans to choose based on preferred laundry, name recognition, or nationality, not logic or merit. This is not just an MLB All-Star malady. Dallas Mavericks owner Mark Cuban said that the NBA should do away with fan voting. With a boost from his native Latvia, NHL fans voted in little-known Buffalo Sabres forward Zemgus Girgensons. The NFL has a risibly irrelevant All-Star Game, but the right idea when it comes to fan voting. The NFL divides the vote for the Pro Bowl into thirds between fans, players, and coaches. MLB should make the fan vote count for 50 percent of the process of determining All-Star starters and divvy up the rest between players and managers. A team whose moniker and logo draws from monarchy has implored its fans to exercise democracy to the fullest. If you have watched the Red Sox’ series with the Royals, you have noticed the “Vote Royals” plea painted behind home plate. The Royals’ efforts to energize their (fan) base have worked. Catcher Salvador Perez, first baseman Eric Hosmer, second baseman Omar Infante, shortstop Alcides Escobar, third baseman Mike Moustakas, and DH Kendrys Morales are the leading vote-getters at their positions. Center fielder Lorenzo Cain is the leading vote-getter among outfielders, ahead of Trout and Royals left fielder Alex Gordon. It’s ridiculous to put Hosmer ahead of Tigers uber-slugger Miguel Cabrera, but Hosmer is All-Star-worthy. Morales is definitely not more deserving of the DH spot than Seattle’s Nelson Cruz. But where the voting detours from passionate support of hometown candidates to egregiously rote homerism is with Rios and Infante, he of the .229 batting average and .236 on-base percentage entering Saturday. Any ballot with Infante selected over Houston’s Jose Altuve or Cleveland’s Jason Kipnis, who leads all AL players in WAR (wins above replacement), should be invalidated. The natural assumption is that there must be some sort of voting chicanery coming from KC, especially considering this is the first year MLB took the balloting exclusively online at MLB.com, eliminating the beloved paper ballpark ballot. MLB.com spokesman Matt Gould said that 85 percent of the All-Star ballots submitted last year were done online, in part prompting the move. Yahoo! Sports reported that MLB had disqualified 60 to 65 million votes this year, but Gould said that number is typical for disallowed votes during online voting on average over the last five or six years. It has nothing to do with Royals fans. Gould pointed out that the rocking of the vote by Royals fans is consistent with the resurgence of baseball in Kansas City, since the Royals advanced to the playoffs for the first time since 1985 last season. He said sales of Royals merchandise in MLB’s online shop have increased 200 percent from last season. Attendance and TV ratings also have risen. Gould expressed faith in the fans, pointing out that voting continues for another two weeks, ceasing on July 2 at 11:59 p.m., Eastern time. He said that historically 25 percent of the votes come in the final week. So, there is still time to get it right, to ameliorate the Royals’ All-Star monopoly, to fix insufferable fan suffrage, to prove Churchill wrong. 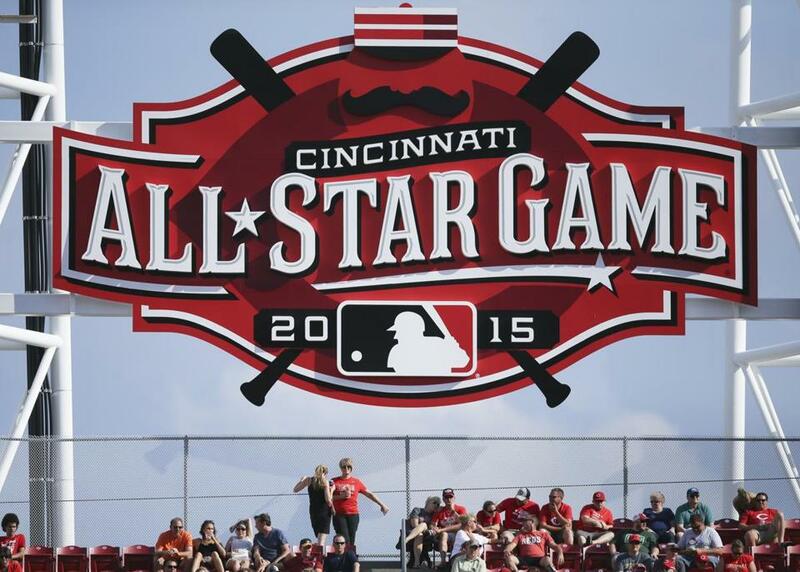 Otherwise, MLB’s All-Star Game will count, but its fan voting can’t be counted on.